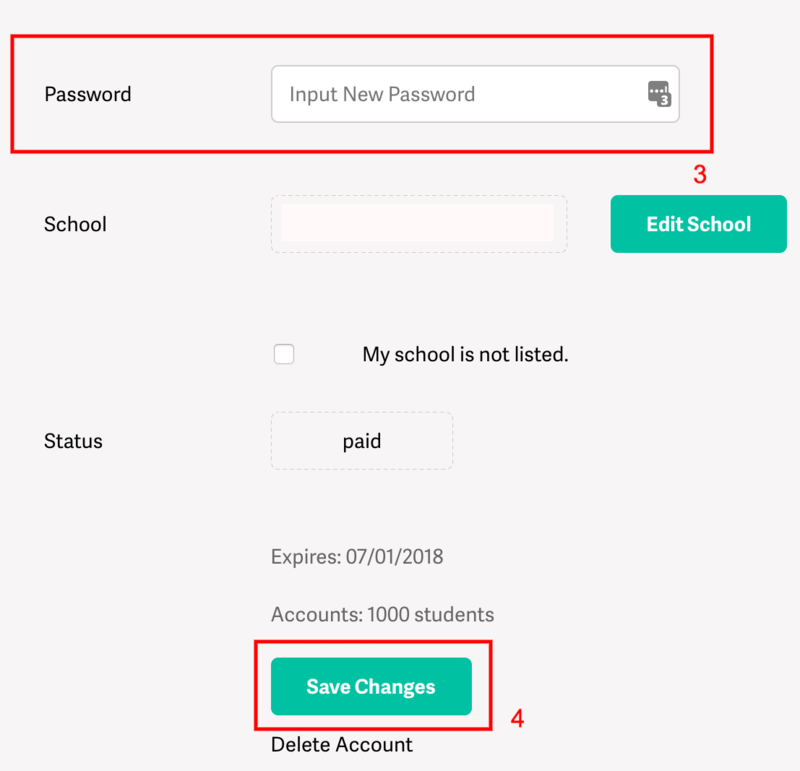 You can change your password by going to the My Account page. 2. Click on My Account link from the white bar under the classes tab. 3. In the password field, you can enter your new password. 4. Scroll to the bottom of the page and click the Save Changes button.